Sinusitis refers to inflammation of membrane lining the para-nasal sinuses, where sinuses are air-filled spaces present in skull around the nose. Normally air-filled sinses get blocked and filled with fluid after getting infected with microbes like bacterias and viruses. SBL DROPS No. 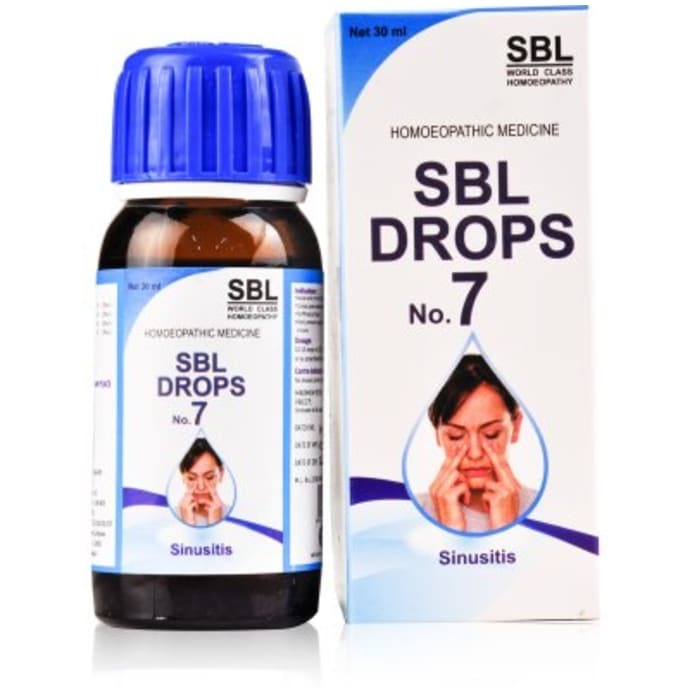 7 alleviates the signs and symptoms of sinusitis. DOSAGE10-15 drops in 1/4th cup of water 3-4 times a day or as prescribed by the physician. 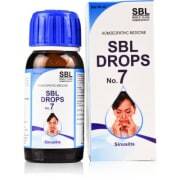 A licensed pharmacy from your nearest location will deliver SBL Drops No. 7 (For Sinusitis). Once the pharmacy accepts your order, the details of the pharmacy will be shared with you. Acceptance of your order is based on the validity of your prescription and the availability of this medicine.